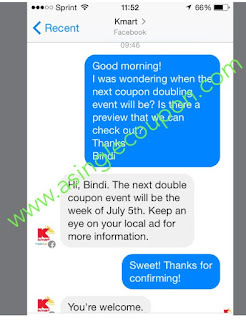 Kmart Doubling Event - July 5th! 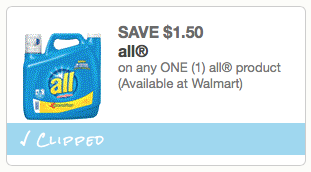 This morning, when I saw the high value All Laundry coupon, I was thinking it would be great for a Kmart Doubling Event! I asked Kmart via their Facebook page, and they responded! The coupon I printed this morning expires 7/23!! 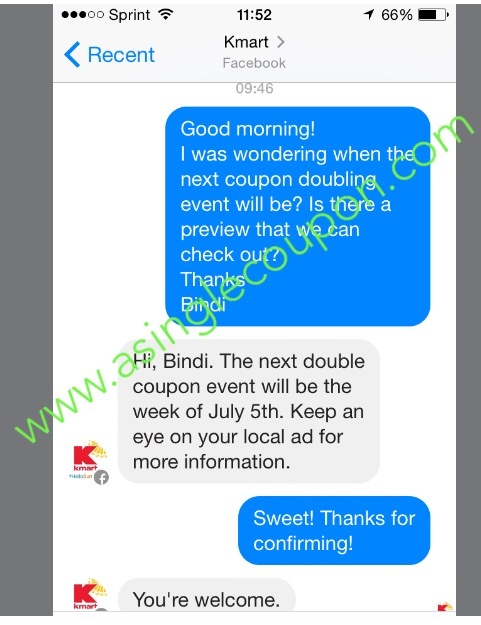 Stay tuned for more Kmart posts from A Single Coupon!